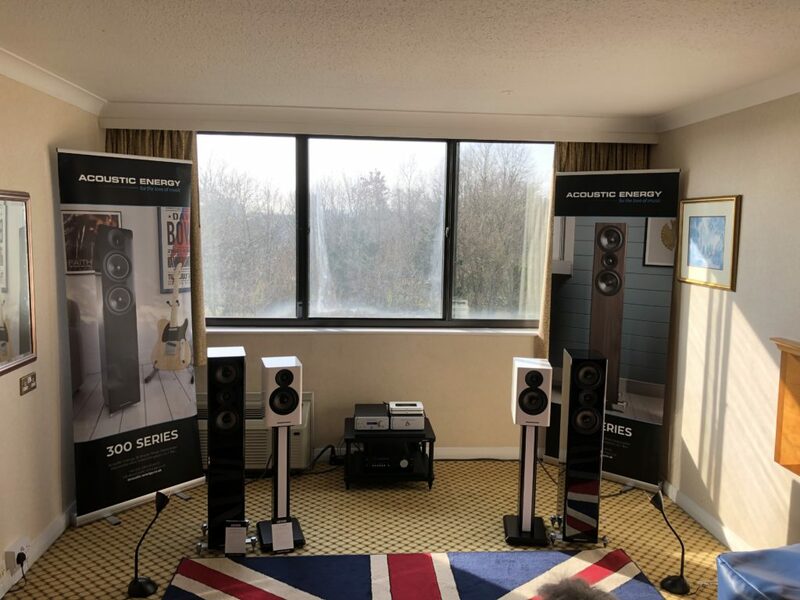 For what may concert our Brand in the UK, more than for Brexit’s hot-topic, this year will always be remembered for the many achievements obtained at the last Bristol Hi-Fi Show‘s edition. 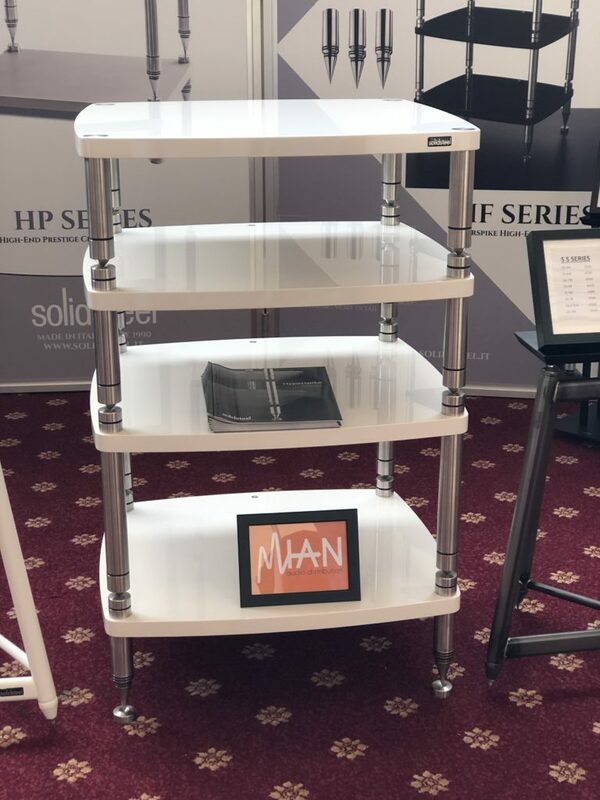 Thanks to the business Partnership with MIAN UK Audio Distribution, since 2018 our new British importer, we massively attended the event officially celebrating the beginning of a long awaited business project, covered for years on the British audio market. In those parts someone would say “Bloody perfect, Mates!”. 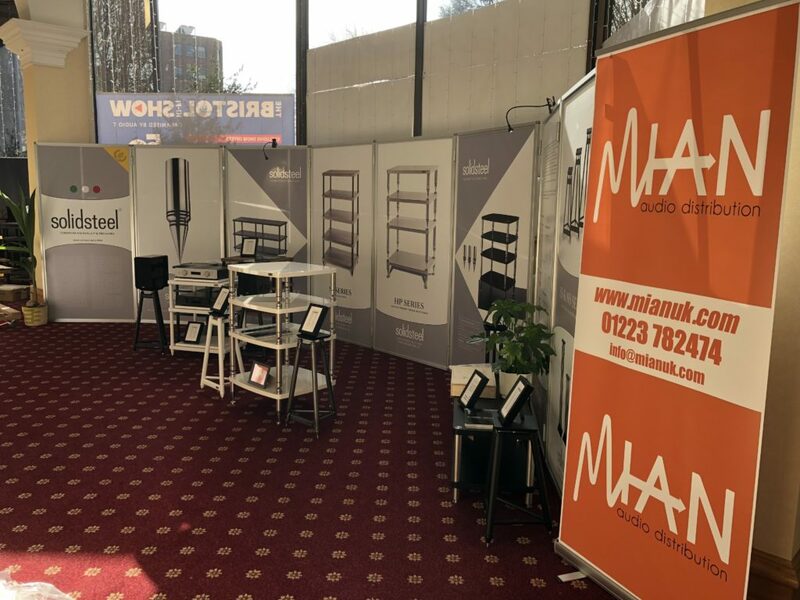 Organized by Audio-T in association with What Hi-Fi?, the show is been held in February (22nd-24th) at the Marriot City Center Hotel in Bristol. The result? 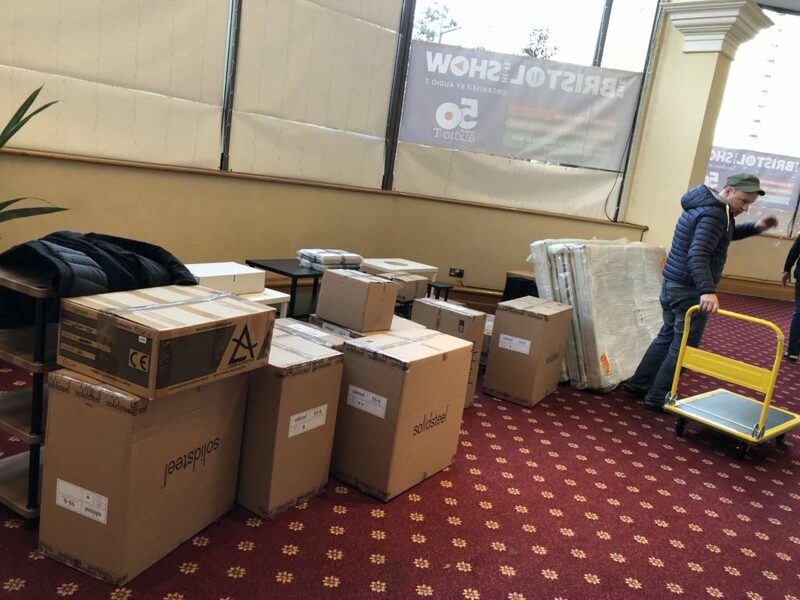 A huge success for our Company and UK Distributor! 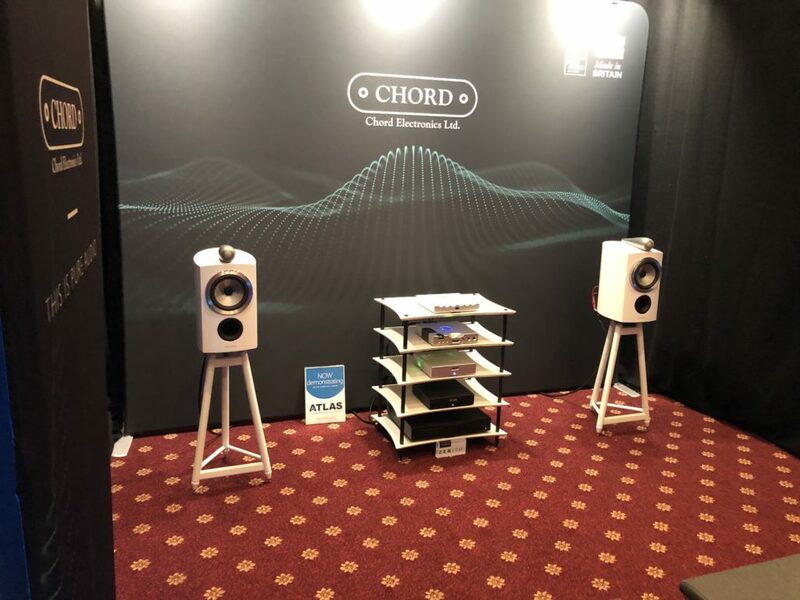 A whole booth exclusively dedicated for us, 8 listening rooms from different famous brands using our products and hundreds of visitors who came giving us lots of attention and positive feedbacks. There were also many new UK Dealers, Press and International Distributors who came for sharing business with us. 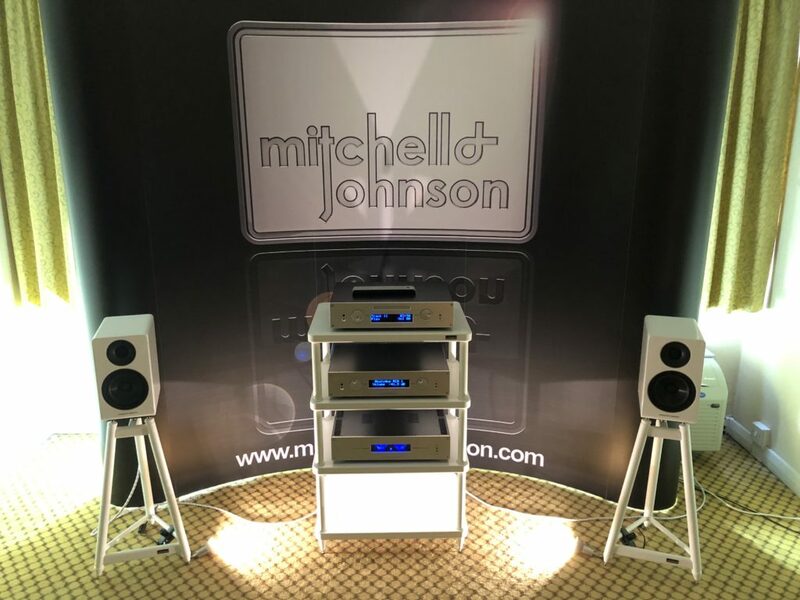 Acoustic Energy, ARCAM*, Bowers & Wilkins, Chord Electronics, Fyne Audio, KEF, Leema Acoustics, Mark Levinson*, Mitchell & Johnson. 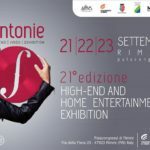 Their professionalism is been essential for our success at the show! 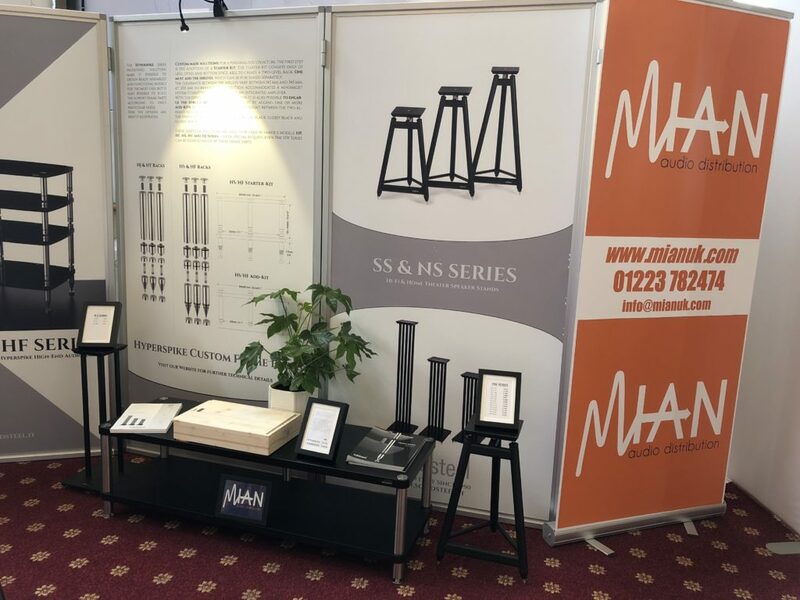 We came on Thursday, 21st with Michael Neal and Andy Moore, MIAN‘s Company Owners, and set up everything, giving care to all the essential details, preparing all goods and the graphics with big passion. 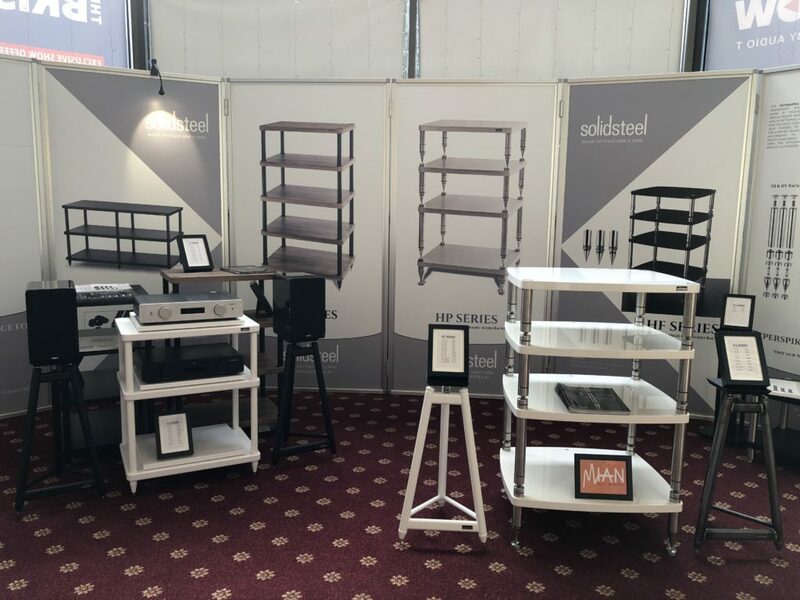 The space was wide so we got the chance of displaying many racks and stands, both from the S Series and from the Hyperspike Series. What follows are photos of what we did. Technically, this is how it started! 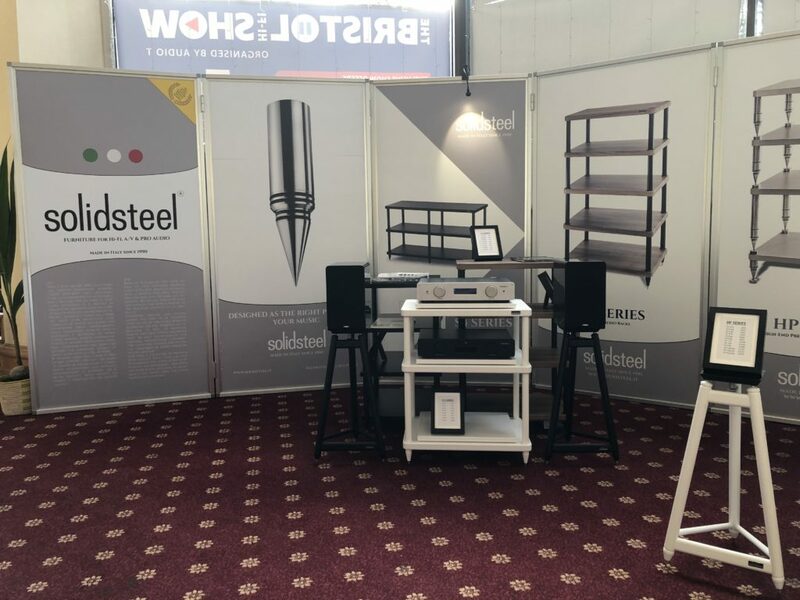 And after a few hours of hard work, the main booth was ready for the show! Our HF-4 in gloss white, one of our most famous Hyperspike racks. It’s been highly appreciated from the public. In this photo (left side display of the booth) we showed an S5-3 white rack with some stands from the legendary SS Series. Behind them, an S2-4 rack and an S3-5 in walnut finish. Products for all tastes! 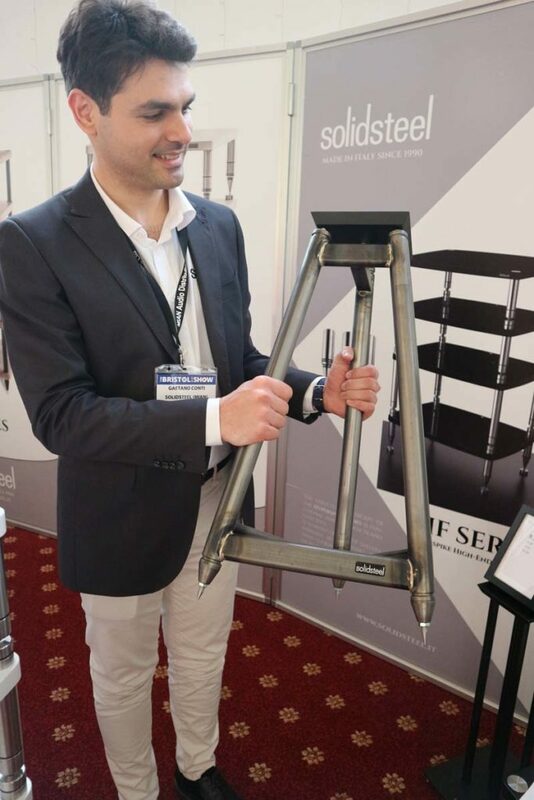 In this photo Gaetano Conti, Solidsteel’s Company Owner, who attended the whole show, explained all the making process of our famous SS Speaker Stands. The product is been carefully crafted by brass welding and then painted with a matte transparent varnish for avoiding rust. Literally a piece of art! 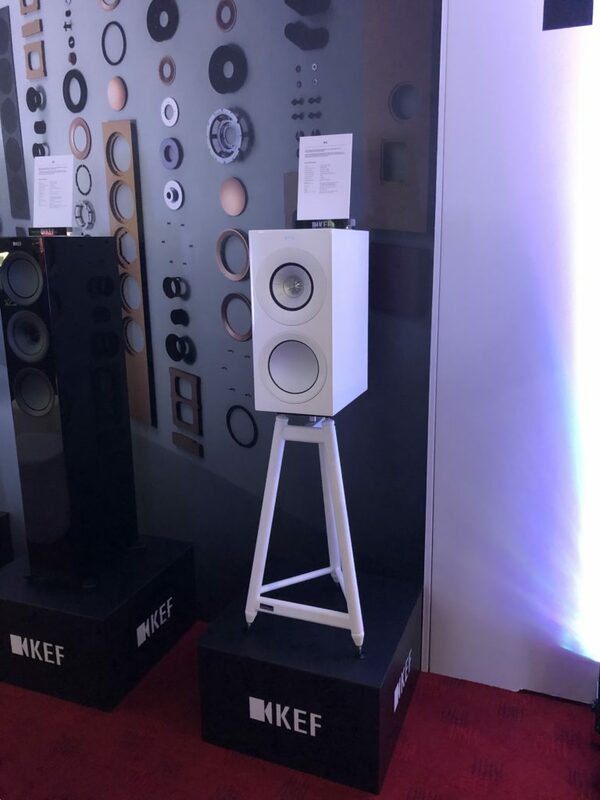 In this room have been used: a pair of white SS-6 speaker stands and a white S3-4 rack. 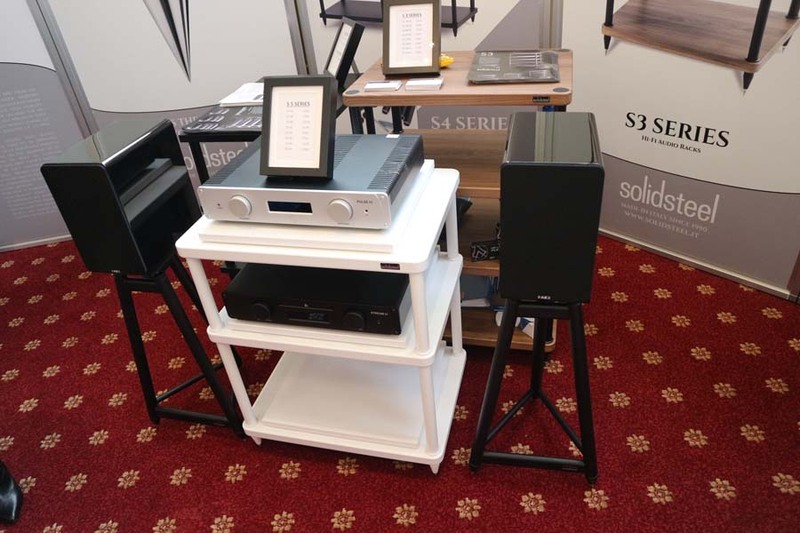 Here we had: a pair of black SS-6 stands and a white S5-3 rack. Leema’s sheep was the best! In this room have been adopted: a pair of HY-A power amp stands and a fantastic HY-4 rack. 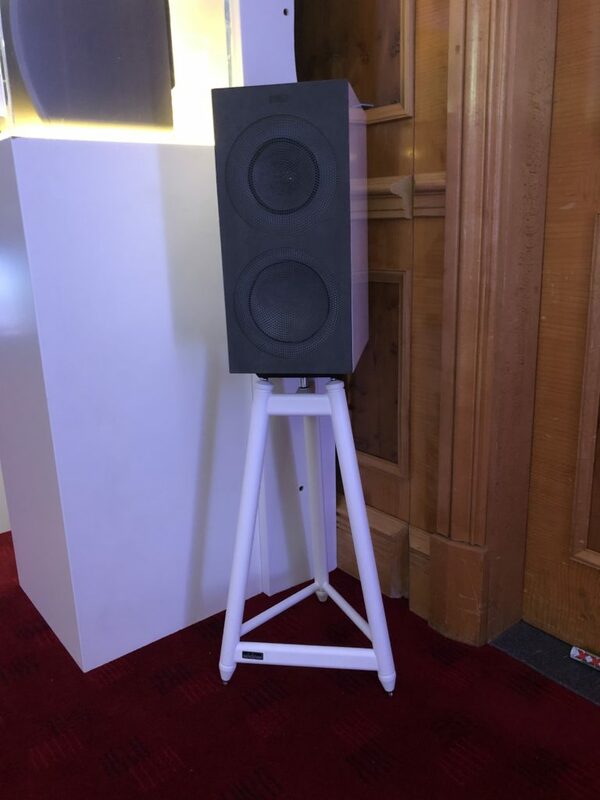 Also the British brand decided to use our SS-6 speaker stands! This was an SS-6 in white for their new R3 stand-mount speaker. 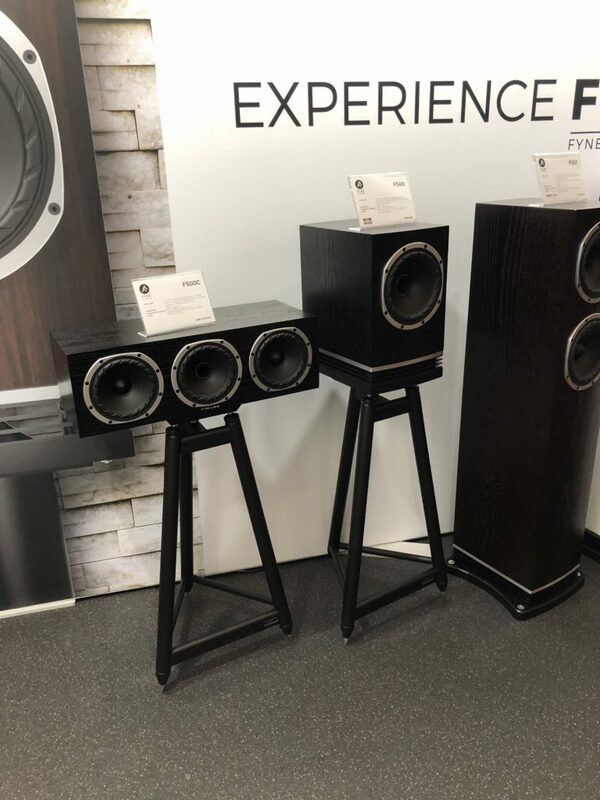 The Scottish-based loudspeaker manufacturer decided to use a black version of our legendary SS stands. 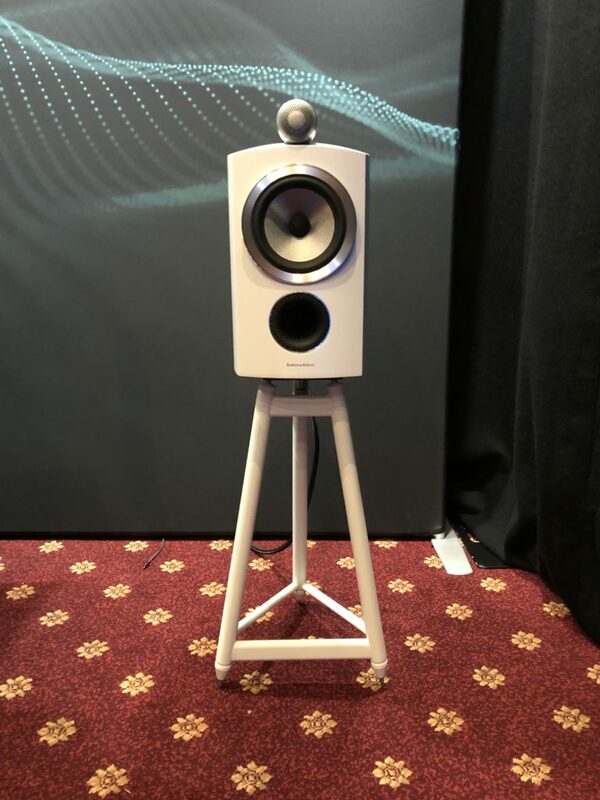 Again a pair of white SS-6 speaker stands for these great B&W 805 D3. What an awesome combination! 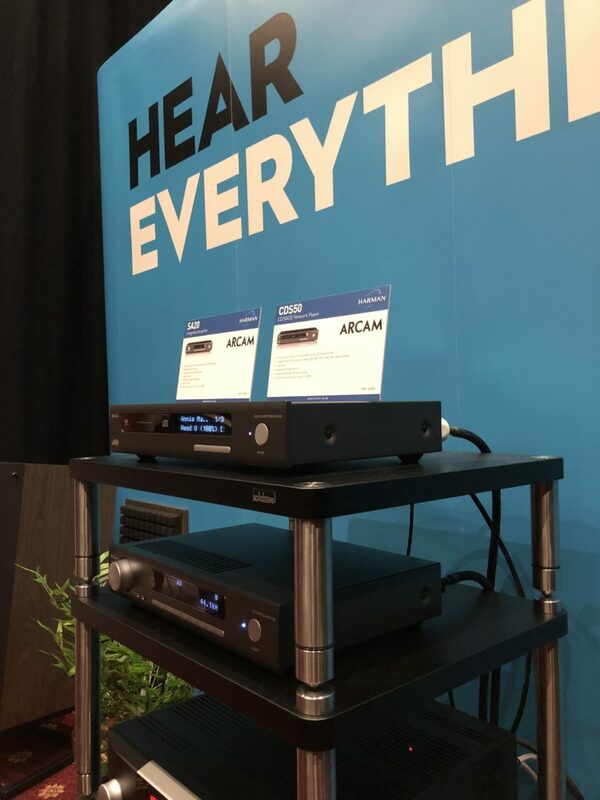 In this beautiful setup we had an HY-3 supporting ARCAM electronics. Stunning! 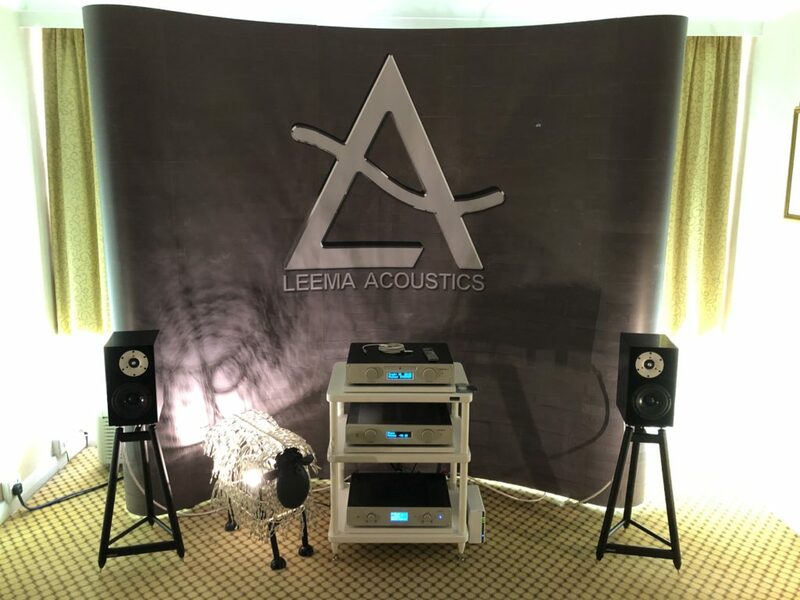 And we conclude our photo report with a black S5-2 rack supporting Acoustic Energy’s booth. What else to say? Pictures have spoken by themselves. 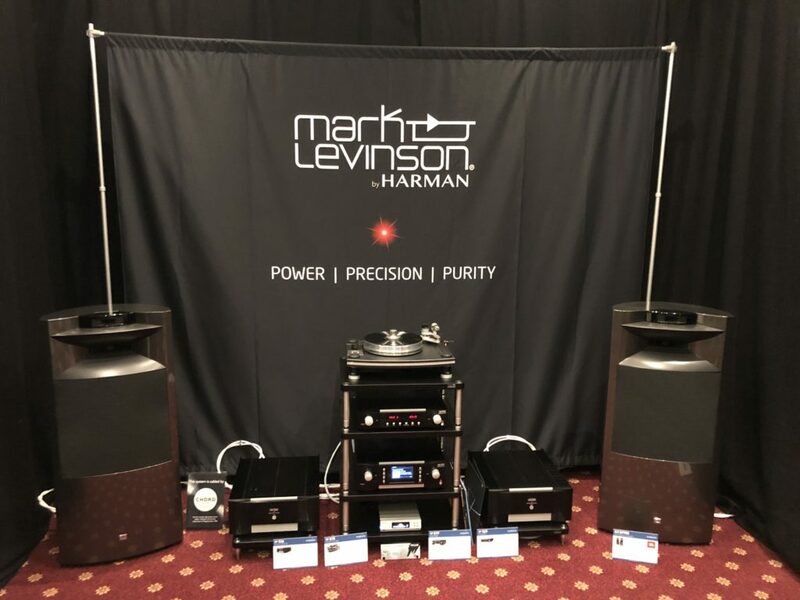 We only want to thank once again MIAN Audio Distribution for making this happen. We wish you all the best with your music, thanks as well for your precious attention!